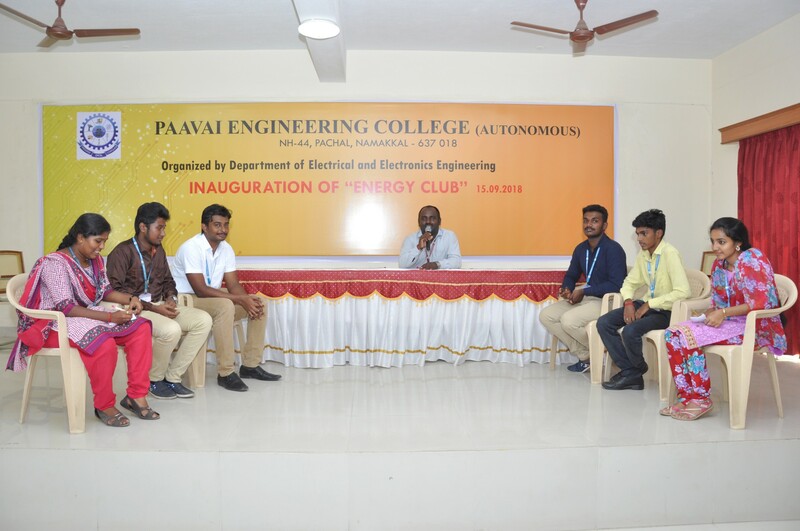 The Department of EEE, Paavai Engineering College has inaugurated “ENERGY CLUB” on 15.09.2018. 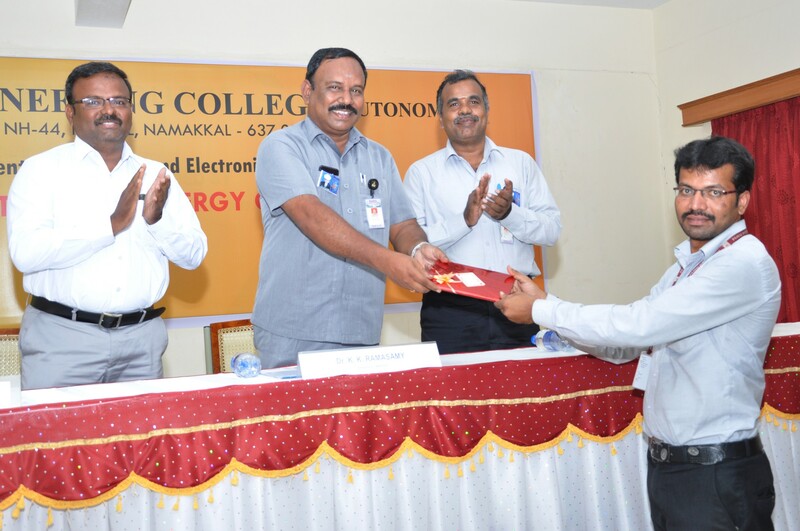 This club will provide the knowledge about the alternate energy trends and information to the students. 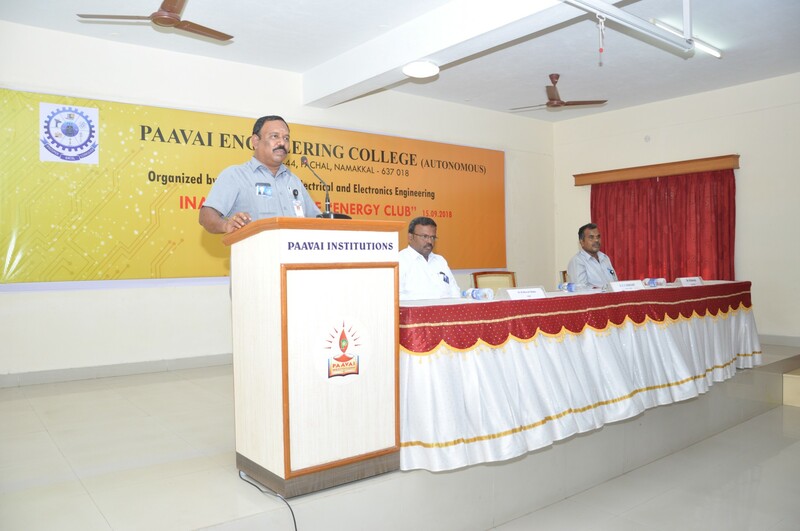 Dr.M.Premkumar, Principal, Paavai Engineering College, Dr.B.Muralibabu, Controller of Examination, Paavai Engineering College, presided over the function and insisted the students to utilize this Energy Club effectively on the various advancements in the field of renewable energy in electrical engineering. 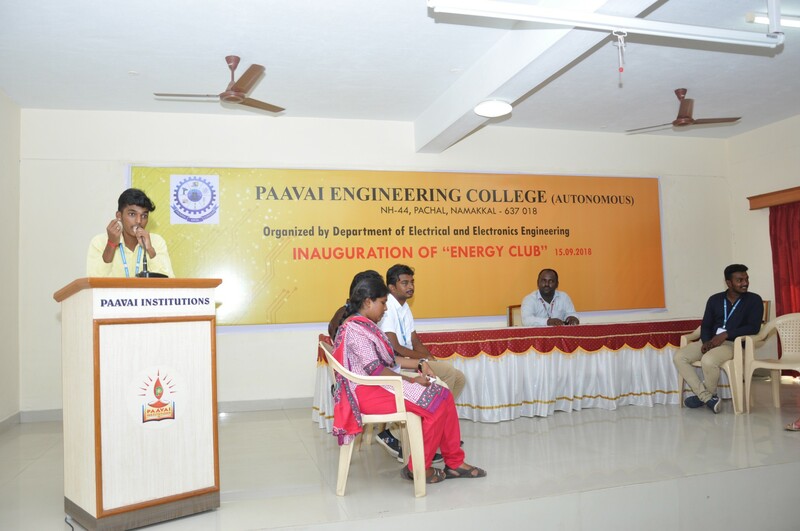 Dr.K.K.Ramasamy, Director Admin, Paavai Institutions, Chief guest of the function who inaugurated the Energy Club and motivated the students to do innovative projects based on renewable energy. 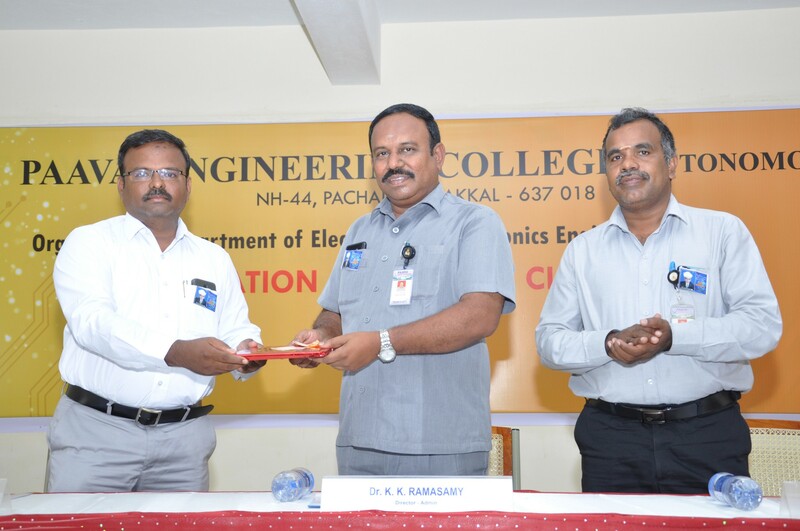 Also insisted to develop their practical knowledge to shape themselves according to the needs of the outside world as they are in the period of innovation. 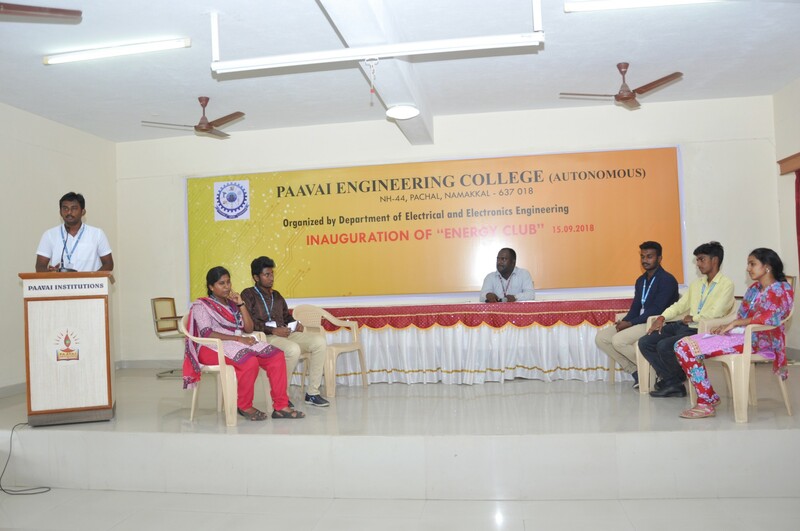 Ms.M.Jayabharathi of second year EEE welcomed the gathering and Ms.V.Anushree of second year EEE proposed the vote of thanks.